Halloween is one of the most exciting times of the year for kids. From halloween costumes and jack o’ lanterns to haunted houses, it is a day that fuels kids’ imaginations. Although it is primarily a day of fun for the family, as it should be, it doesn’t hurt to capitalize on you kids interest with these educational activities. What better time to read stories to your younger children, or to suggest a novel or two to your teenagers. Everyone enjoys a ghost story, monster tale or horror novel around halloween, these are our recommended books for the entire family which are guaranteed to be halloween hits. Up to two kids in costume (12 and under) get in free when accompanied by an adult. All kids are eligible to take part in the “Critters and Costumes Parade” at 11:40 am and 2:40 pm daily, departing from the Waterside Theatre. Also on hand for the Boo fun is My Little Pony who will be at the Zoo’s Courtyard Stage. Kids can also drop by the Play-Doh Play Centre next to the Courtyard Stage to create their very own Zoo animal or Halloween creation. Check out Zoo animals receiving festive pumpkins throughout the day. Delight in hair-raising, spine-chilling classical music, as creatures of all kinds come to haunt the concert hall. Perfect for trick-or-treaters of all ages, well-known spooky works, including Andrew Lloyd Webber’s Phantom of the Opera Overture, selections from Harry Potter and the Sorcerer’s Stone, and Symphony fantastique will be heard echoing throughout the hall. From the old military town of York to the metropolitan city of today, discover Toronto’s ghost stories and darker history. Hear of the city’s haunted theatres, public hangings and the terrifying encounters at Mackenzie House. Definitely not for young children! 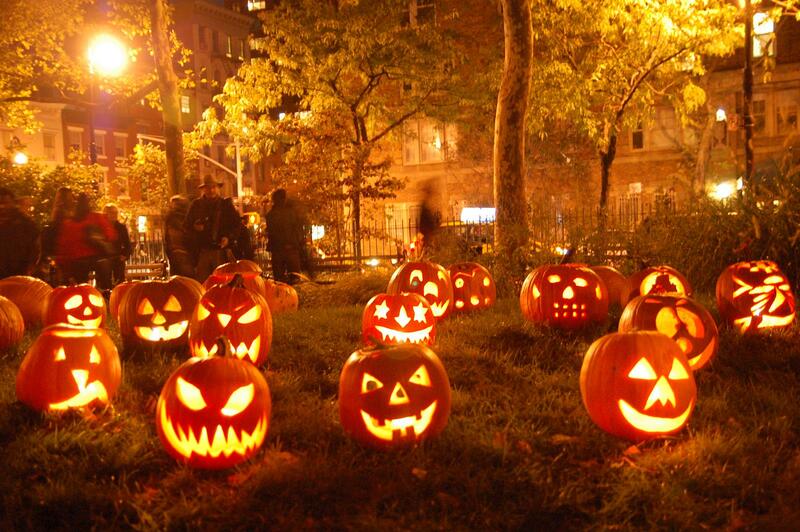 We hope you have a lovely halloween week, let us know what you get up to! We’d love to see pictures of everyone dressed up!